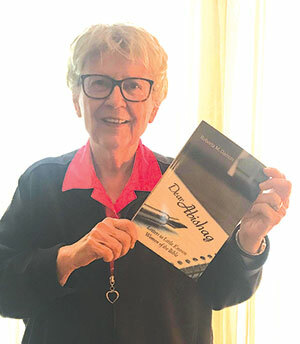 The book, which was released in December, is a sequel to Damon’s first book: “Dear Mrs. Noah: Letters to Unnamed Women of the Bible.” Similar to her previous book, Dear Abishag is accompanied by the illustrations of her granddaughter, Melissa Damon. The book contains 30 chapters. Each is embodied with a descriptive letter to or from somewhat unknown women, such as Abishag, Jael, Keturah, Susanna and Zipporah. When it comes to writing stories, Damon combines Scripture and creativity. “I read what we knew about them from the Bible, and after that I decide to use my imagination on how they must feel or what they must be going through,” she said. Call it old-fashioned, but Damon enjoys writing her stories with pencil and paper. It doesn’t take her long to complete a book. 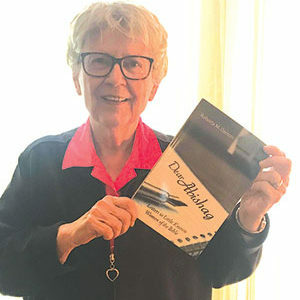 Being a graduate of Southwestern Baptist Theological Seminary in Fort Worth, Texas, Damon and her husband, Bill, served for two decades as Baptist missionaries. She also spent a large amount of her time devoted to her church. She and Bill attend Chester Baptist Church, where Bill served as church administrator from 2001 to 2018. After she came back to the U.S. in 1981, she went back to seminary and got a doctorate.